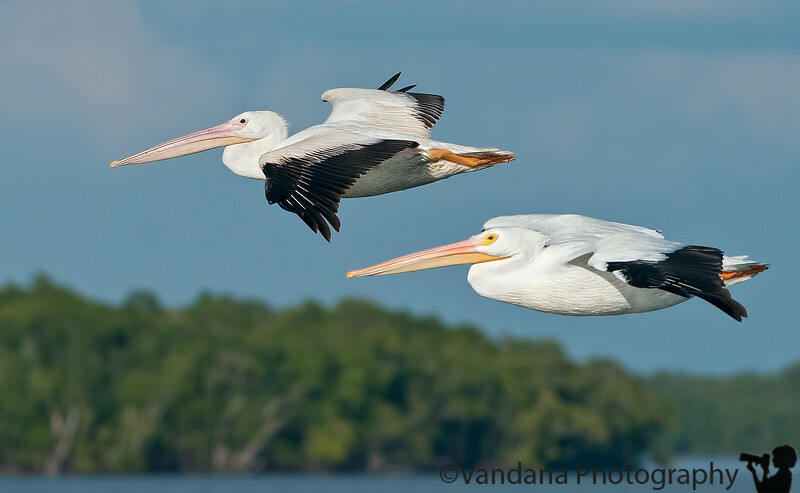 December 26, 2011 - American white pelicans in flight, Everglades National Park near Gulf Coast Visitor Center. Back in Florida after the cruise ! pelicanamerican white pelicanevergladesNPnational parkgulf coastflightbirdbirdsflying. You are the master of this type of shot! !